Fifteen years ago, the Needlestick Safety and Prevention Act was enacted to protect healthcare workers across the U.S. from preventable needlestick injuries and exposure to bloodborne pathogens. Additional laws and industry efforts in the interceding years have helped curb workplace risks for healthcare employees. However, despite this initial progress, the momentum behind doing the right thing for our caregivers has slowed considerably in recent years. A 2010 report from Public Citizen found that healthcare has the highest worker injury rate of any industry, more than three times that of manufacturing, the second-most injury-prone sector. On the occasion of National Nurses Week, and nearly halfway into the American Nurses Association's 2016 efforts to foster improvements in nurse safety, it is time for a transformation in how we protect our frontline caregivers from a multitude of workplace risks. Blood draws remain one of the most common—yet overlooked, underappreciated and dangerous—practices in healthcare. Every year, more than 400 million blood draws are performed within U.S. hospitals alone, informing nearly 70% of all clinical decisions as an integral way to help speed diagnosis, gauge treatment progress, and ultimately determine readiness for hospital admission, escalation and discharge. Yet astonishingly, the ways in which we collect blood have not materially changed in nearly a century. We still use a sharp object to puncture a vein to collect this essential lab sample. As a result, hundreds of thousands of nurses, phlebotomists and vascular access teams are still exposed to needlestick injuries and the resulting risks of infection every year. I was one of those nurses stuck by a needle many years ago, and was infected with HIV and hepatitis C as a result. My personal experience fueled my passionate support for the Needlestick Safety and Prevention Act of 2001, but despite corresponding regulations, the Centers for Disease Control and Prevention estimates that over 1,000 caregivers continue to be injured every day in the U.S. by needles that expose them to blood—and those are just the injuries that are reported. New technologies are emerging that aim to establish entirely new standards of care for blood-draw collections, creating a safer working environment in the process. These needle-free devices can also affect patient care quality and experience, improve the patient-caregiver relationship by reducing anxiety around needlesticks, and return positive financial benefits to hospitals by saving thousands of dollars currently spent on diagnosis, treatment and subsequent care. In the near future, I have every reason to believe that the new norm will be that once an IV is placed, patients will no longer be subjected to the pain and distress associated with repeated sticks for blood tests. Of course, workplace injury risks for nurses extend far beyond drawing blood. According to the U.S. Department of Labor's Bureau of Labor Statistics, nurses also suffer more back injuries—by manually lifting and moving patients—than just about any other occupation, roughly three times the rate of construction laborers. In total, nursing employees suffer more than 35,000 back and related musculoskeletal injuries each year that are severe enough to keep them from working. California's 2012 Hospital Patient and Health Care Worker Injury Protection Act was created to combat this troubling trend, and has since been emulated in a number of other states. It has helped to create best practices for lifting patients and mitigating other scenarios that contribute to musculoskeletal injuries. Its commitment to lift teams and other preventive hospital-setting measures can go a long way toward protecting caregivers. Nurses are also exposed to thousands of hazardous chemicals, toxins and dangerous waste products as they care for patients, and face potential health problems as a result. Frequent exposure to sterilizing chemicals, housekeeping cleaners, residue from drug preparations, radiation and other hazardous substances can lead to asthma, miscarriage and even certain types of cancers. The Occupational Safety and Health Administration has taken steps to improve the quality and consistency of information about hazardous chemicals in the workplace, and to ensure that healthcare workers have a better understanding of such hazards. While it's highly unlikely that all hazards can be removed from hospitals, a proactive approach to utilizing safe patient-handling technology and switching to safer alternatives and processes should be an imperative for hospitals. Workplace violence and abuse has also become a serious and common problem in healthcare settings. A 2011 Emergency Nurses Association survey found that more than half of emergency department nurses reported verbal abuse, and nearly 13% were victims of physical violence. This is unacceptable by any standard. Nurses are on the front line of care, and it is incumbent upon our system to provide them with the protections they deserve. Many hospitals have instituted greater overall security precautions in recent years, placing more emphasis on reporting policies through “zero-tolerance” programs. But the best health systems should be auditing controls that protect nurses in their interactions with patients and families. It's also critical that nursing education programs teach more effective strategies for de-escalating confrontations with aggressive patients or their family members. No matter the risk, it is plainly evident that we must and can do better for our nurses. Every healthcare system in the U.S. and around the world should be motivated to invest its time, attention and resources on new technologies and on the development of enhanced care standards to improve workplace safety for all frontline caregivers. 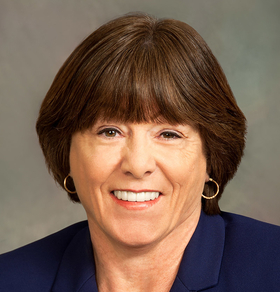 Karen Daley, RN, is a member of the board of trustees of the American Nurses Foundation and the Dana Farber Cancer Institute in Boston. She is a past president of the American Nurses Association. She also is an adviser to blood-draw technology company Velano Vascular.